From the United Airlines fiasco to the Spirit Airlines brawl, it hasn't been a good month for U.S. airliners or air travel in general. But it wasn't all bad. There was one particularly positive air travel story that recently captured my attention. Last month, Mohamed Sanu, a six-year NFL veteran and wide receiver for the Atlanta Falcons, was traveling and went through his usual flight routine. He studied his team’s playbook (in April, four months before the season starts). He ordered healthy meals, snacks and drinks. He was kind to the people around him. This was all standard operating procedure for Sanu. “I was just being myself, doing what I normally do on planes – either I’m going to take a nap or look at my plays,” Sanu told TMZ Sports. You don’t know us but we wanted to thank you. Our son sat behind you on this flight and watched you. He saw you studying your plays, watched you make healthy choices with you snacks, food and drink. He watched how polite you were to everyone. He is only 10 but just made an elite hockey team and we are on our way to training in CT. You are an inspiration to children and for that you should be proud! The letter caught Sanu off guard in the best possible way. You never know. You never know who is watching you. It could be your friends, your family, your coworkers, your bosses or your neighbors. It could be a stranger sitting behind you on a bus you take everyday or a classmate sitting next to you that you barely talk to. They are listening to the words you’re speaking. They read what you post on Facebook. They see the choices, even the seemingly inconsequential ones, you make everyday. They see how you treat people – how you treat your teachers, your colleagues, and the people who can’t do anything for you. 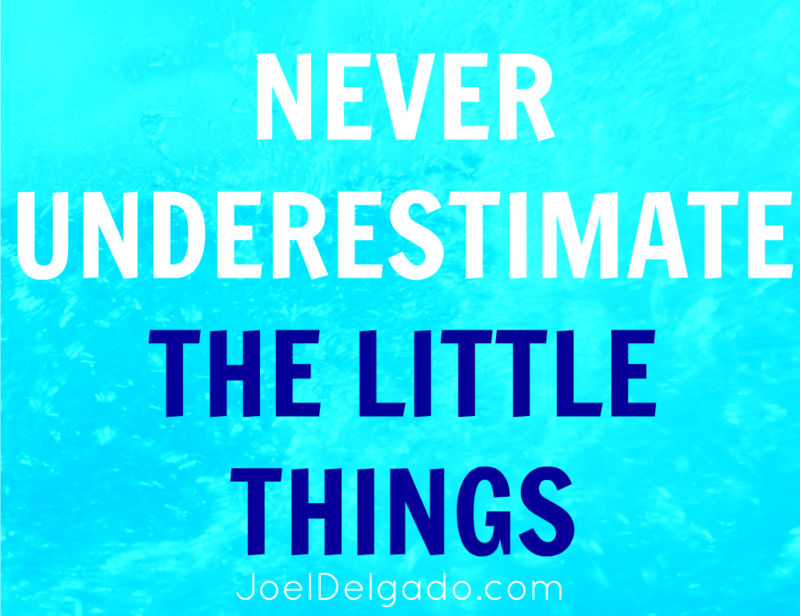 It’s the little things that often make the biggest impact. It’s the small choices, the ones we often think are the most mundane, that leave the biggest impression on the people around us. 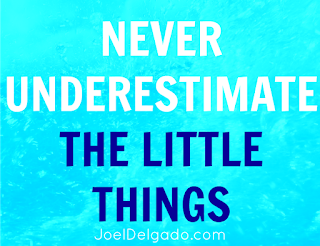 Never underestimate the little things. This is a nice blog...keep it you kind contribution. Good luck. Wao wao wao! I am impressed.Such kind of people actually set milestones.I liked this and thanks for sharing so great flight experience with us.You are superb story teller and there is great need of yours on essay on time review.Please must check it out.Thanks.